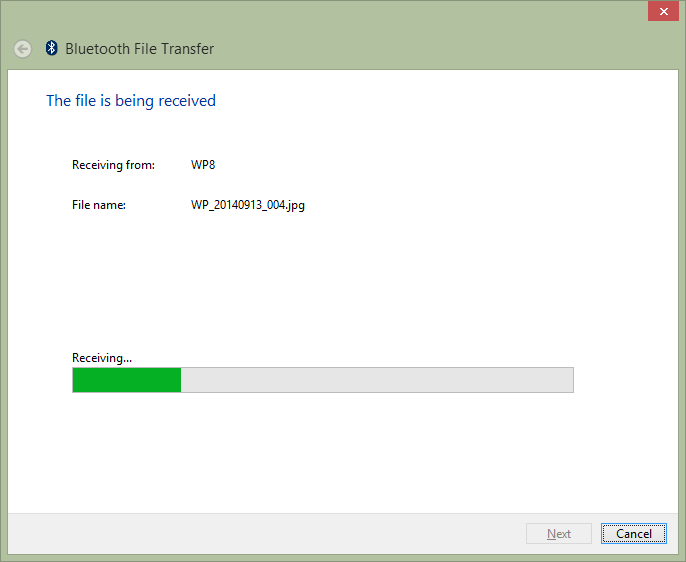 I use a Windows Phone 8.1 and recently I needed to transfer some files to my Laptop running Windows 8.1 using Bluetooth. 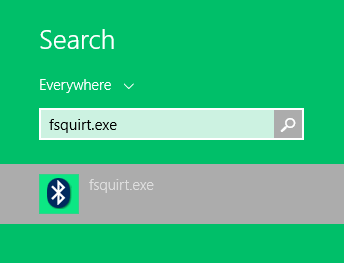 I started Bluetooth in my laptop but I could not see a direct menu item to receive files from my phone. 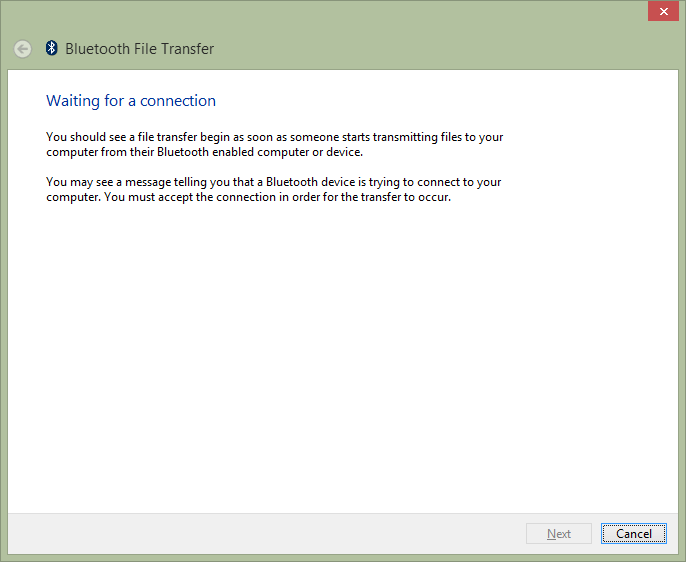 When I tried sending files from my phone, it said “The device you’re trying to send to doesn’t support sharing over Bluetooth”. I was stuck for a while and then found a solution over Internet. Here is the solution. Now, send files from your phone to your machine. 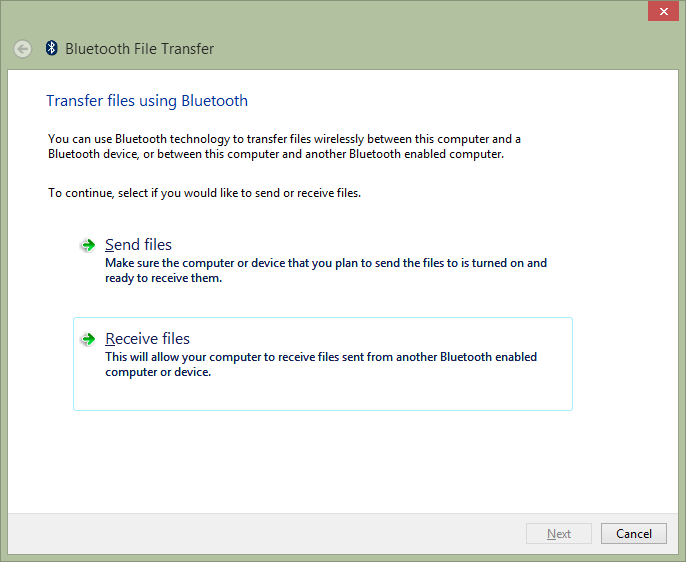 The box will automatically start showing the transfer of files. 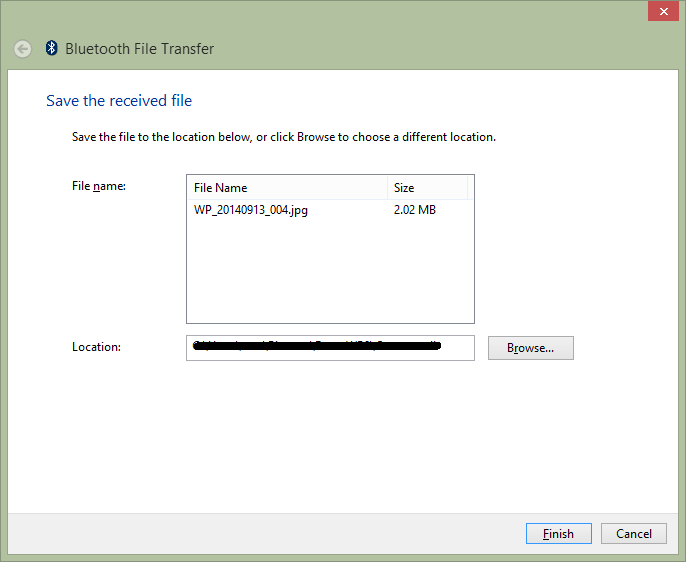 After all the files are transferred, it will ask you to save the files to a location. Hope you like this! Keep learning & sharing! Cheers!